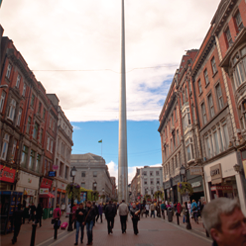 Services to DublinTown members includes a Rapid Response Cleaning Crew (Daytime 8am – 5pm) and a Night Cleaning Crew (8pm – 4am). This cleaning service includes the removal of graffiti from business premises. International research has shown that graffiti serves as an invitation for antisocial behaviour and crime. 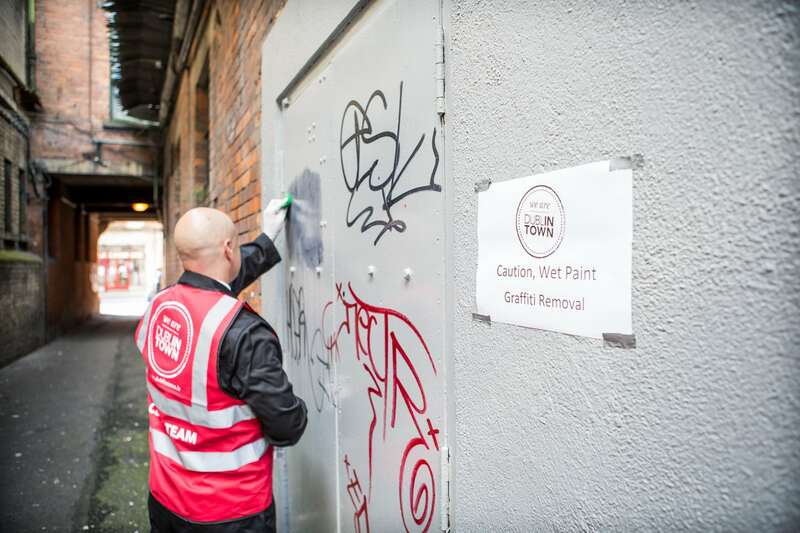 When we first began removing graffiti from the city centre there was over 3,000 m2 of graffiti on business premises throughout the city. We continue to remove graffiti regularly and we removed an approximately 20,000 sq m in 2016 and 18,000 sq m in 2015 – combined for just those two years that’s 3 times the size of the pitch at Croke Park! This demonstrates the success of the graffiti removal programme. To report graffiti on your premises please contact us 7 days on info@dublintown.ie or call 01 6334680. Before we remove graffiti from your premises you must send us in a signed graffiti waiver form. Click here to download the Graffiti Waiver Form, please fill it out and return it to: DublinTown, 1st Floor, 43-45 Middle Abbey St, Dublin 1.